Many of you are probably already familiar with LEED certification, but for those who aren’t we want to share some insight into exactly what it is, and how to achieve it. LEED or Leadership in Energy and Environmental Design is a certification developed by the U.S. Green Building Council in 2000, and is aimed at promoting practical and measurable “green” building design, construction, operations and maintenance solutions. A LEED certification provides independent, third-party verification that a building, home or community was designed and built using strategies aimed at achieving high performance in key areas of human and environmental health: sustainable site development, water savings, energy efficiency, materials selection, and indoor environmental quality. 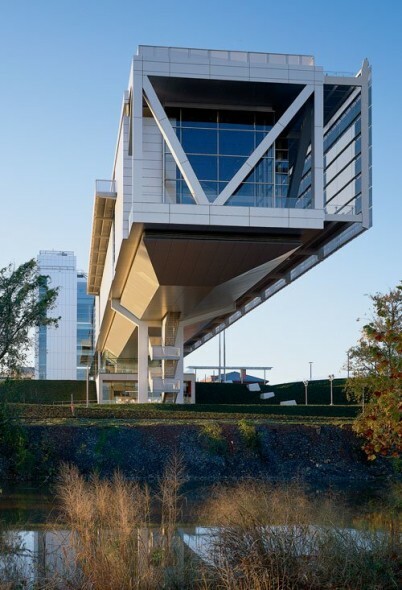 The benefits offered by a LEED certified building include lower operating costs, waste reduction, water conservation, greenhouse gas emission reduction and a healthy and safer building. Many cities offer very beneficial tax rebates, zoning allowances and other incentives to companies that choose to achieve a LEED certification. 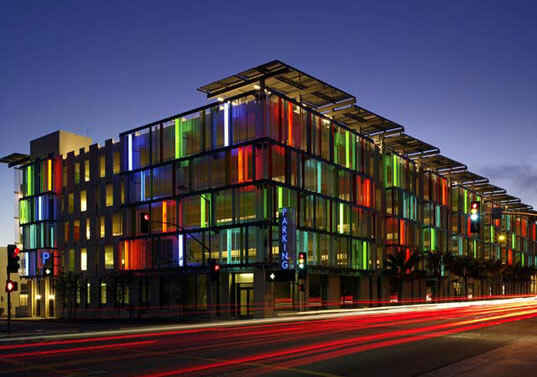 Certification is given by the Green Building Certification Institute using the LEED rating system. Buildings are issued a certain amount of LEED points and the total number of points decides which of the four certification levels are granted. All of the points are awarded depending on how the buildings strategies will impact CO2 emissions and also energy efficiency. While the USGBC does not certify or endorse any specific product, Precision Board Plus assists in meeting LEED requirements for obtaining USGBC and ICC 700 building credits. The ICC 700-2008 National Green Building Standard is a similar standard for rating the environmental performance of residential buildings. Green signage and tooling is becoming more and more of a requirement instead of an option for many customers, and Precision Board Plus, with a rapidly renewable resource content increased from 18.9% to 23.9% and certified Carbon Footprint of 3:1, ensures that our customers will be using the greenest signage and tooling substrate available. Visit our Green Facts page for more info. 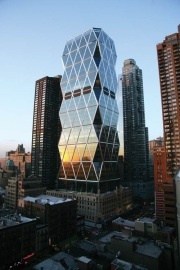 The Hearst Tower in New York City, New York is a Gold LEED Certified Building, with over 90% of the structural steel used containing recycled materials.